Was Inferno a Box Office Success? 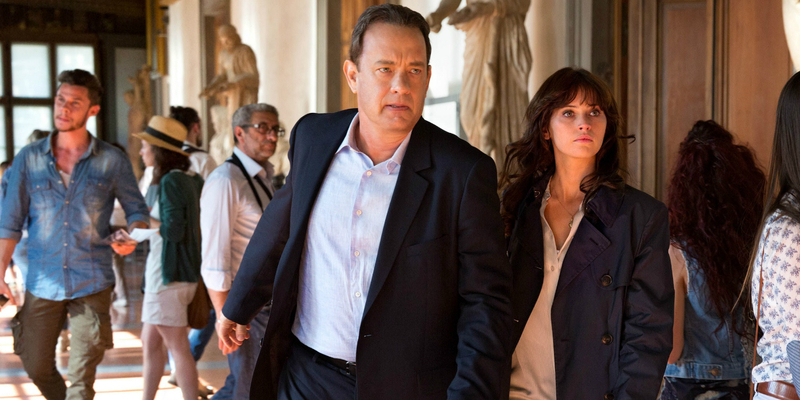 On October 28th, Ron Howard's latest film, Inferno, hit theaters. 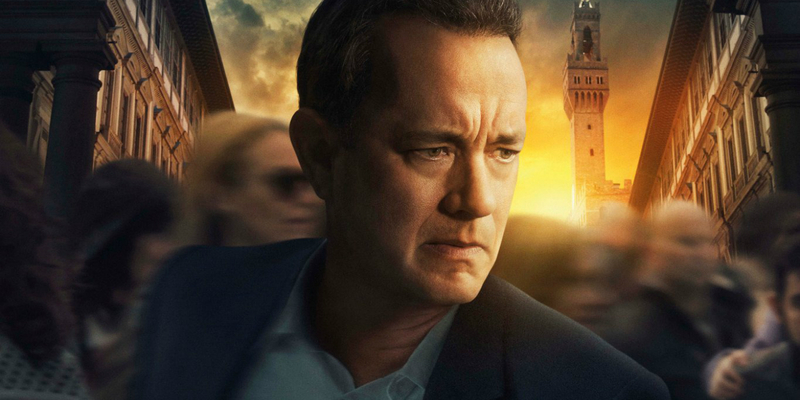 This third entry in the Robert Langdon series, based on the novels by Dan Brown failed to set the domestic box office on fire, accumulating just $30 million after three weeks in theaters - less than half of its $75 million production budget. 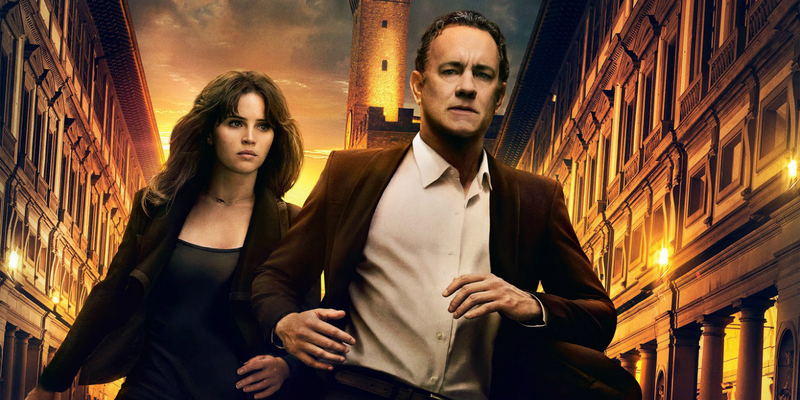 However, the adventures of Robert Langdon have historically been more popular overseas (since the films mostly take place in various locations across Europe), so Inferno's domestic box office alone doesn't provide the best measure of its success. Sony likely knew that this years-too-late sequel was never going to be a major player at the domestic box office. Armed with the knowledge that Inferno was on its way to a fiery demise in the eyes of American moviegoers, Sony made several smart decisions to ensure that, by the time the dust clears, they could confidently mark Inferno as a win for the studio. But was Inferno a box office success, or a box office bomb? Dan Brown's 2003 novel, The Da Vinci Code, was an instant best-seller and pop culture sensation. While the myriad factual inaccuracies in the story have been picked apart by historians and scholars, few could argue that the book wasn't an unabashedly entertaining mystery, and it went on to sell over 80 million copies over the years. The novel proved controversial with certain religious groups, who found some elements of the story to be blasphemous and offensive. This predicament, of course, only served to fuel further interest in the book, which remained popular until the film adaptation came out in 2006. 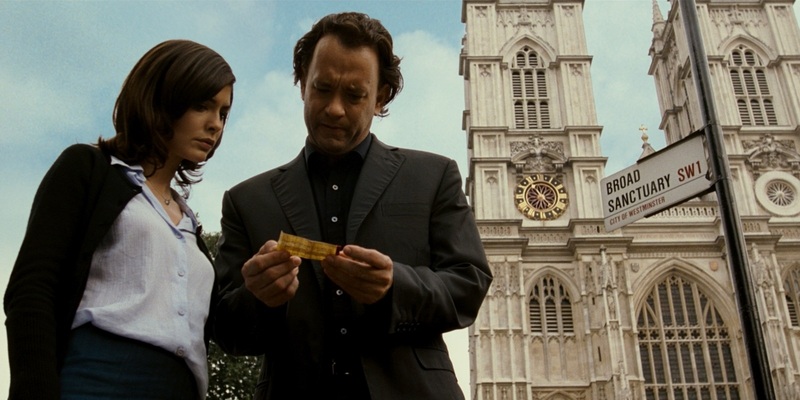 The movie version of The Da Vinci Code was directed by Ron Howard and starred Tom Hanks as protagonist Robert Langdon. Despite being eviscerated by critics, the film went on to gross over $217 million domestically and $758 worldwide. All told, it was the second highest-grossing movie of 2006, following only the first Pirates of the Caribbean sequel. Naturally, Sony (through the Columbia Pictures brand) wanted a sequel, and the team from the first film (director Ron Howard, star Tom Hanks, and writer Akiva Goldsman) were happy to return. 2009 saw the release of Angels & Demons. While pop culture had all but moved on from Dan Brown's pseudo-historical page-turners, the sequel was still able to muster a strong performance of $485 million worldwide, with a decent $133 million of that total coming from North America. The first film was an unmitigated blockbuster success at home and abroad. The second film fell victim to the law of diminishing returns, but still performed in line with expectations, with its international success bolstering its decent local grosses. Both films saw only about 28% of their worldwide totals coming from domestic theaters, the takeaway being, Robert Langdon movies may be Hollywood products, but like all of the biggest blockbusters, they are made for a global audience. Arriving seven years after Angels & Demons, Inferno was long-awaited, but not exactly highly-anticipated. Despite the long sequel gap, none of Ron Howard's intervening films have approached the success of his Robert Langdon series. The Dilemma, Rush, and In the Heart of the Sea all suffered from varying degrees of commercial failure, so returning to a tried-and-true brand must have been a no-brainer for the prestigious director who is long overdue for another hit. 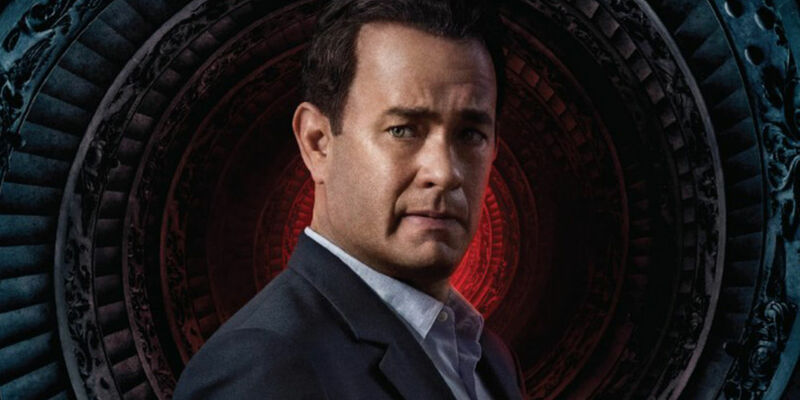 Meanwhile, star Tom Hanks simply seems to enjoy playing Robert Langdon; across his entire career, Angels & Demons is Hanks's only live-action sequel. Maybe he really enjoys working with Ron Howard, or maybe his original contract locked him in for the sequels. The only core member of the creative team not to return from the first two movies is writer Akiva Goldsman. Instead, the script for Inferno was written solely by David Koepp, who co-wrote Angels & Demons. Still, having Howard and Hanks on board will make trilogy boxed-sets more attractive to fans as the years go by. Inferno had a fairly conservative production budget of $75 million, only half of the reported budget for Angels & Demons. With that reduced cost comes an understanding from Sony that there's no way Inferno is going to come close to previous Dan Brown adaptations. However, that doesn't mean it can't be successful. Sony released Inferno in many territories as much as two weeks before its US debut. Even before the film hit our shores, it had already made more than $100 million in overseas grosses. This release strategy was ostensibly an effort to avoid competition with Doctor Strange, but it also had the benefit of downplaying the film's domestic performance in its overall box office picture. In the past few years, films like Warcraft and Terminator: Genisys have been able to mitigate their domestic shortfall bthrough international success. Terminator: Genisys made 80% of its $440 million worldwide gross at the international box office, and Warcraft made a stunning 90% of its $430 million global total from those same international audiences. Still, prospective Terminator sequels were pulled from the schedule, and a Warcraft sequel is unlikely to be made anytime soon. Each of those films carried budgets in excess of $155 million. Worldwide grosses in the ballpark of $400 million may seem like a lot, but these films were heavily-marketed blockbusters, and neither picture is said to have actually earned money for their studios. Inferno, on the other hand, was positioned as a mid-range film. In addition to having less than half of Terminator's budget, it was basically dumped into U.S. theaters with little in the way of significant promotion. On the surface, this may not seem like a wise decision, but it's actually quite smart; Terminator and (to a much greater degree) Warcraft both failed to make a splash at the American box office, but they were still privy to the mega marketing machine of their studios, which led to greater promotional costs, costs which those films failed to recover. Inferno, on the other hand, had a comparably much lighter marketing campaign. Combine this with the significantly lower budget, and Inferno has a much lower bar to clear in order to be seen as successful. In terms of the disparity between its domestic and foreign take, Inferno is nestled snugly between Warcraft and Terminator, albeit on a much smaller scale, with the numbers more-or-less halved across the board, and with the added bonus of a presumably smaller marketing budget. As mentioned before, Warcraft earned just 10% of its global take in America, while Terminator did somewhat better, with 20% coming from North America. As of this writing, Inferno's $30 million domestic haul represents 15% of its worldwide total. Ultimately, Sony probably isn't overjoyed with Inferno's domestic performance, though the studio probably isn't surprised, either. The film has grossed $31 million dollars, or just a little over what The Da Vinci Code made on its opening day. Overseas, however, the film has made a respectable $171 million, leading to a worldwide total in excess of $200 million. It's not a spectacular result, but it's more than enough to save face and probably turn a small profit. Overall, this isn't bad for a film like Inferno. Dan Brown's work isn't nearly as culturally relevant as it was a decade ago, and Sony was never aiming for the movie to be a "four quadrant" blockbuster; Inferno is an adventure/mystery targeted towards an adult audience. With that in mind, and considering the prudent cost-cutting measures taken by Sony to minimize the risk of the project, Inferno can easily be classified, if not as a win, than as a draw, a non-entity which neither hurt nor healed the careers of anyone involved in the project. Inferno is in theaters now.